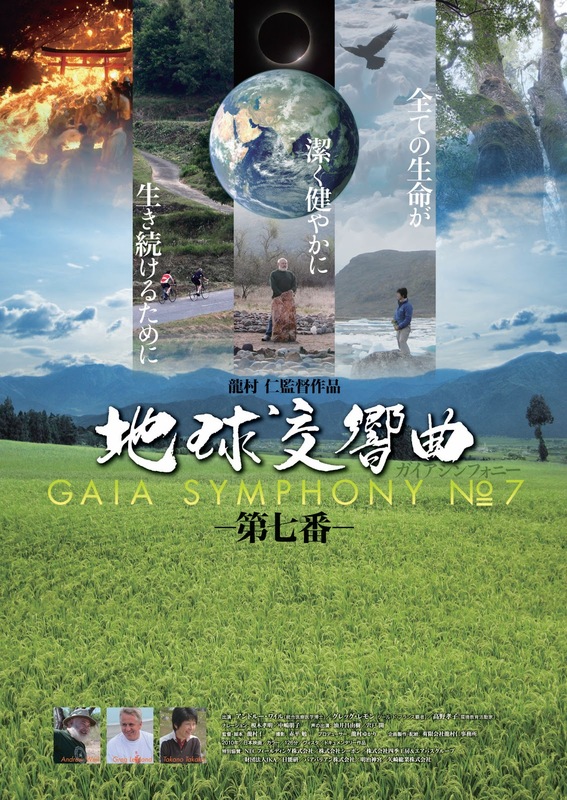 NO.7 is latest release of "Gaia Symphony" series. 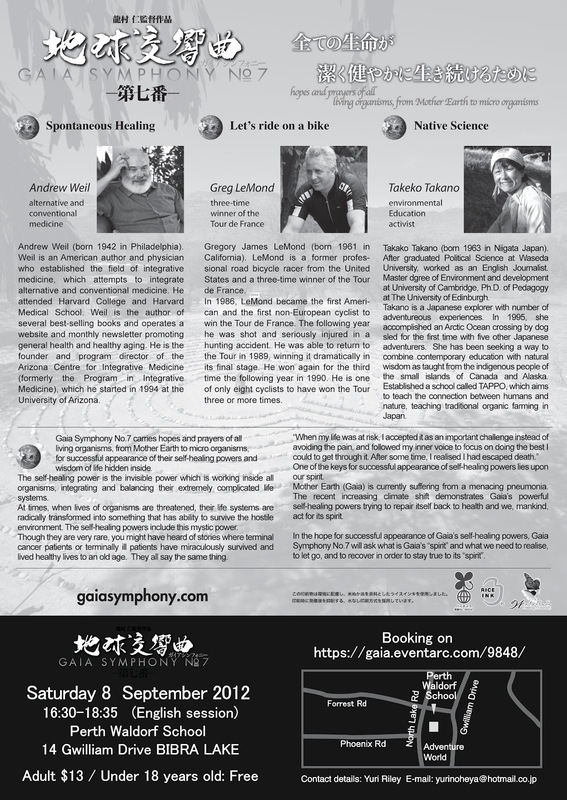 Screening will be held in Perth. 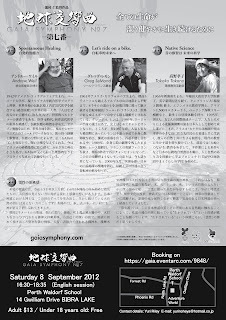 Organised by Yuri Riley. 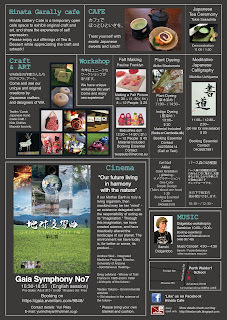 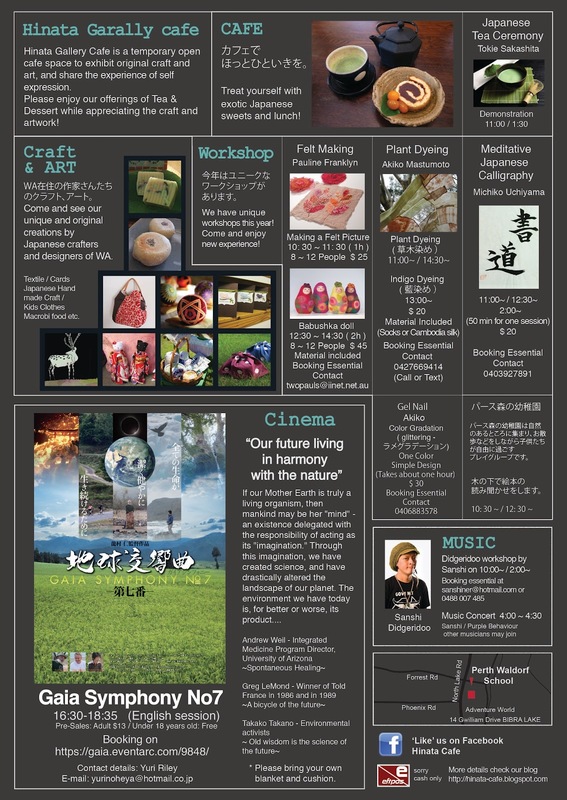 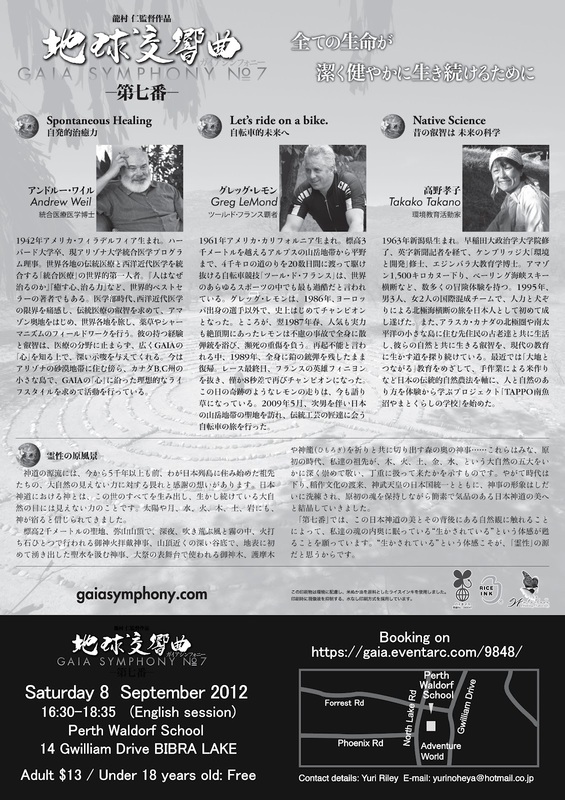 The screening of the film " GAIA SYMPHONY No.7" is part of a Hinata cafe event.